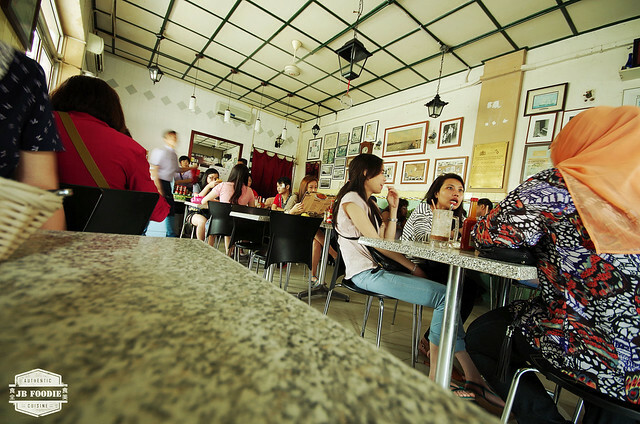 Where can you head to when you start to have craving for decent food in the old city centre of Johor Bahru. 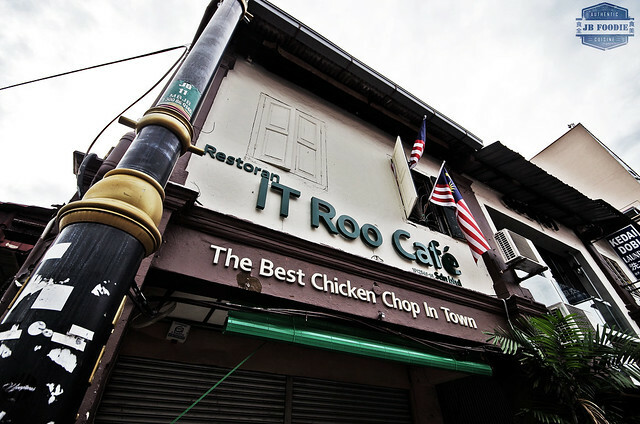 Located in the midst of old shophouses along Jalan Dhoby, you can find a little cafe boasting it serves "The Best Chicken Chop in Johor Bahru". Although I do not second that tagline wholeheartedly, but they definitely rank as one of the top in my list. If you still have some time to spare after the meal, you could head opposite where you can find a little Indian bakery, old school stuffs ! According to my Dad (he used to live nearby in the mid 1900s), the little bakery has been around for a long time, ever since he was a teenager. Pulling myself back on track, before I deviate too much from the topic. Do remember to call in advance and reserve a place if you have a huge gathering. The place is small and is usually jam-packed during lunch and dinner time. The first thing you naturally will order when dropping by at the cafe, which serves "The Best Chicken Chop in Johor Bahru". Chicken chop ! You can choose from deep fried or grilled chicken chop, accompanied with your choice of sauce, mushroom or black pepper. 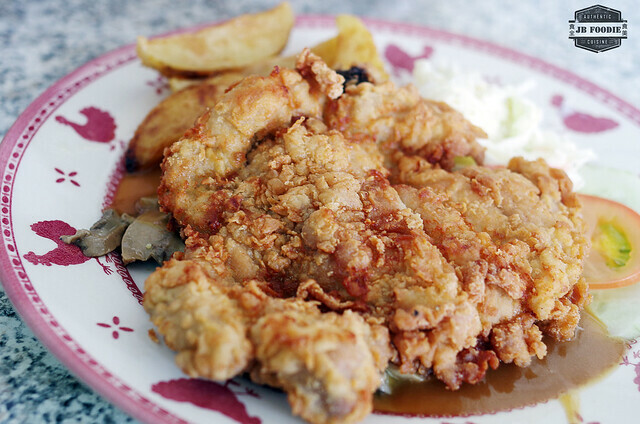 Today, we order Fried chicken chop with mushroom sauce. Want something more ? How about topping it with (not one) but 2 sunny side up ? Just look at how big it is, almost cover up the chicken chop underneath it. An insatiable & satisfying experience, don't you think so ? The other dish that one couldn't ignore is the Fried Rice. Comes in either spicy or normal flavour. The rice is grainy (which I favoured) and flavourful. Not much ingredients in it though, only some sparing amount of chicken meat and shrimps. 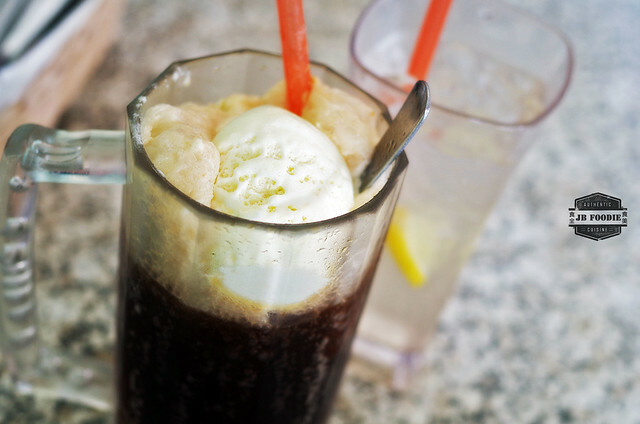 Rounding off the dinner with an ice, cold glass of float. Wooooo...! Conclusion:﻿ I do agree that they serve good chicken chop but in my humble opinion. not the best. The remaining of the items on the menu are all good as well. Amongst them, I saw tomyam soup, fried noodles and fried rice as appearing most often at the dining table. Recommended !